Writing a sci-fi story is one thing, but taking a story and turning it into a power metal (esque) concept record is another thing entirely. It’s an endeavour that is destined to fail, right? Well in the case of the second full length from Vancouver’s Unleash The Archers, you couldn’t be any more wrong. Unleash The Archers have perfected what could only be called ‘modern power metal’ seamlessly fusing big, soaring vocals, guttural death grunts, catchy guitar runs and blasting drums. It’s an amalgamation that works very well, and sounds completely effortless on their part. Kicking things off with ‘Dawn of Ages’ (also their first video from the album) the band is letting you know you’re in for one hell of a ride. The song is powerful, uplifting and catchy as hell. The chorus is sure to be a crowd pleaser, lots of sing-a-long opportunity here. 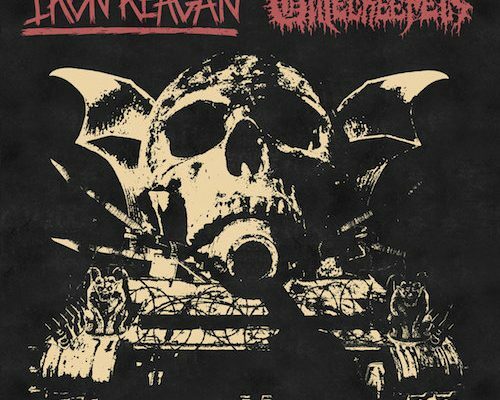 Brittney Hayes’ vocals are nothing short of stunning on this album and on tracks like ‘General of the Dark Army’ the growls of guitarist Brayden Dyczkowski are well matched, giving the perfect juxtaposition. The opening lines of ‘City of Iron’ brought the hairs on the back of my neck and arm straight up (in a good way). Brittney’s voice just sweeps you up into the story and then Brayden’s growls slowly drag you under. Turning on its heel, into a hard rocker, then into a metallic chug fest, it’s a study in all the things that make Unleash The Archers, and this album, so great. The midsection of ‘The Fall of The Galactic Guard’ turns into a rhythm section delight, with drummer Scott Buchanan and bassist Zahk Hedstrom locking in for a solid demonstration of power. Listening closely to the album, you’ll hear that Zahk actually adds a lot of flourish to his bass parts, never overplaying but also not content to just sit with the rhythm. Scott, as well, isn’t content to just give you a blast here and there, his playing is technical and groovy at the same time, which not many drummers seem to be able to pull off. 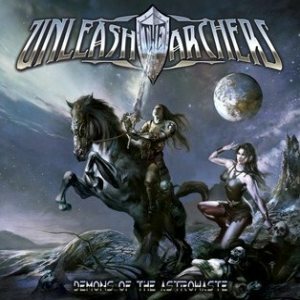 On Demons of the AstroWaste, Unleash the Archers sound like veterans of the scene and turn in a, ahem, stellar performance. This album is a nerd’s delight in more ways than one and may very well be an album of the year contender on many lists!